Venus Express is the first Venus exploration mission of the European Space Agency. 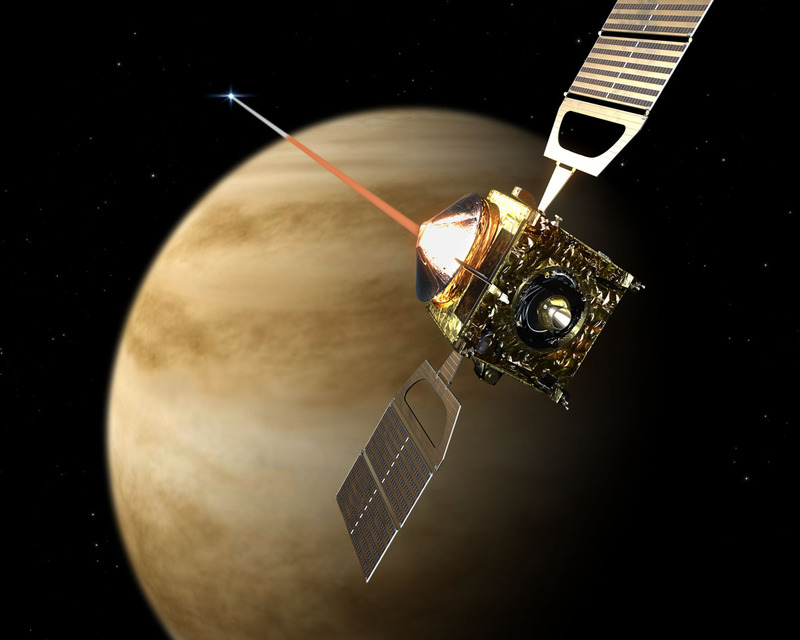 Launched in November 2005, it arrived at Venus in April 2006 and has been continuously sending back science data from its polar orbit around Venus. Venus Express is a satellite optimised for studying the atmosphere of Venus, from the surface right up to the ionosphere. Since its arrival at Venus, Venus Express had been on an elliptical 24 hour orbit, travelling 66 000 km above the south pole at its furthest point and to within 200 km over the north pole on its closest approach, conducting a detailed study of the planet and its atmosphere. Venus Express used the same design as the Mars Express mission and the same industrial teams that worked on that mission. 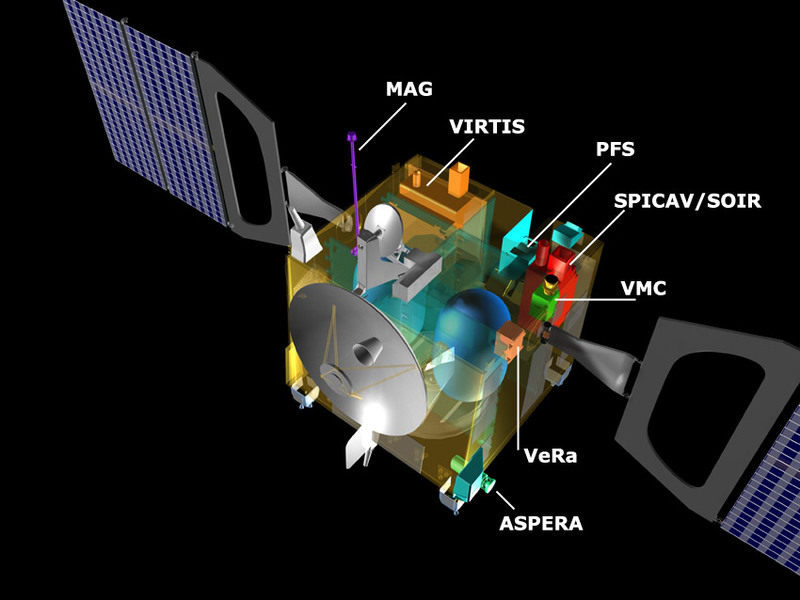 The Venus Express spacecraft is a virtual twin of Mars Express. The spacecraft body itself, termed a ‘bus’, is a honeycomb aluminium box about one and a half metres wide. With its solar arrays extended, it measures about eight metres across. 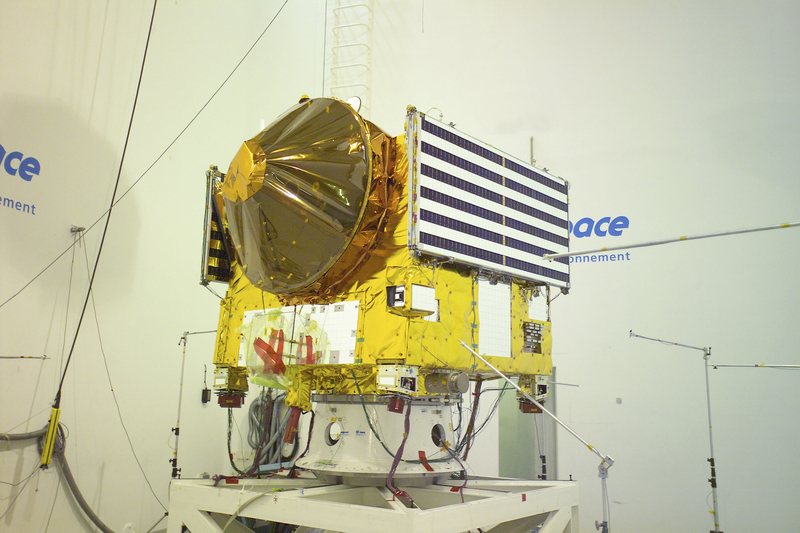 As for Mars Express, the scientific instruments are mounted in the bus. It also borrowed instrument technology from Rosetta. ASPERA investigates the interaction between the solar wind and the atmosphere of Venus by measuring outflowing particles from the planet’s atmosphere and the particles making up the solar wind. It will study how the molecules and ions escape the planet. The instrument development led by Institute of Space Physics, Kiruna, Sweden. The SGF Co. Ltd. together with the Wigner RCP participated in the development of the ASPERA .